A few years ago we featured the reader ride of a guy named KC who built this incredible Toyota Twin-Cam powered MGB GT and it was glorious. 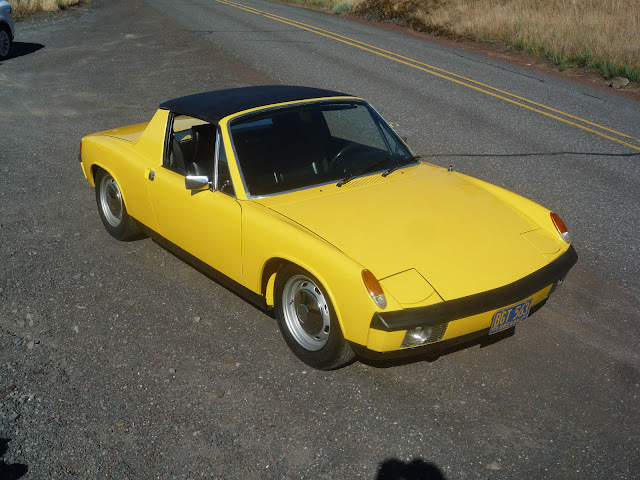 Apparently KC built another car with an above average attention to detail -- this time a Porsche 914 with an underside that is cleaner than a newborn in a fresh pair of Pampers. Find this 1974 Porsche 914 here on eBay bidding for $11,300 with 6 days to go, located in Mosier, OR. Seller submission from KC. This sunflower yellow '74 model has been modified to have the appearance an early ('69-70) European delivery spec VW/ Porsche type 47. While retaining the improvements of the later versions this car has the following appearance modifications to match the very first versions offered to the European market. Body color bumpers, sail panels and trim. European lighting, the US spec front side markers have been deleted as well as the bumper guards. OEM Hella Euro front and rear lenses and Hella H4 (flat lens) headlamps with white plastic surrounds. Front park lamps feature aluminum reflectors and LED white lights. VW- Porsche rear badging without Porsche script on the engine vent grille. Early 1970 OEM steel wheels with VW crest caps. Wolfsberg crest steering wheel horn pad. Early OEM steel porthole rear valance. Chrome interior door lever bezels and window cranks. Subtle differences for sure but a departure from the ubiquitous chrome bumper appearance group alloy wheeled 914s. US spec badging, bright sail panel trim black headlight surrounds and Porsche crest horn pad are included with the car. Also two Targa roof panels one standard textured black and one body color. The car was given a complete and detailed make-over and you can see more photos in this flickr album here. No bolt/nut/wiring harness was left alone as this thing was given a complete restoration. 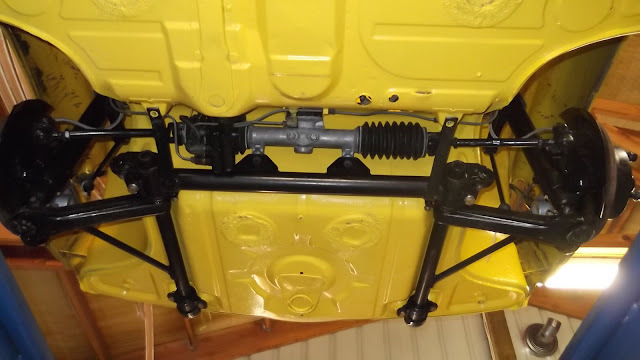 Sway bar bushes and end sockets CV joints, pedal assembly re bush and so on. This car sat for 15 years in dry storage before the restoration and no rust repairs were needed or performed, an amazing starting point. All panels stripped to bare metal painted with PPG epoxy primer and urethane single stage top coat to the original sunflower yellow. 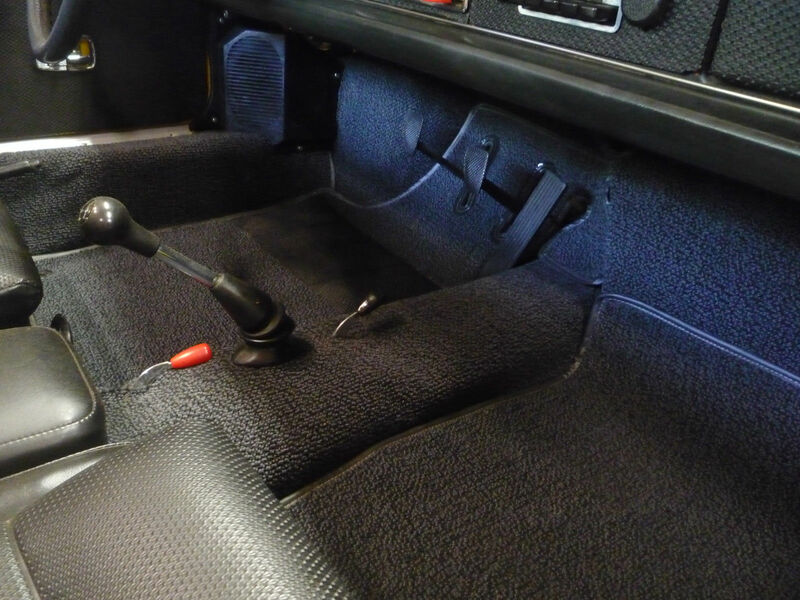 Very straight with perfect door gaps. It should go without saying that the car runs and drives as good as it looks.Original owners manual, radio, Hershman ant. jack and tire tools. 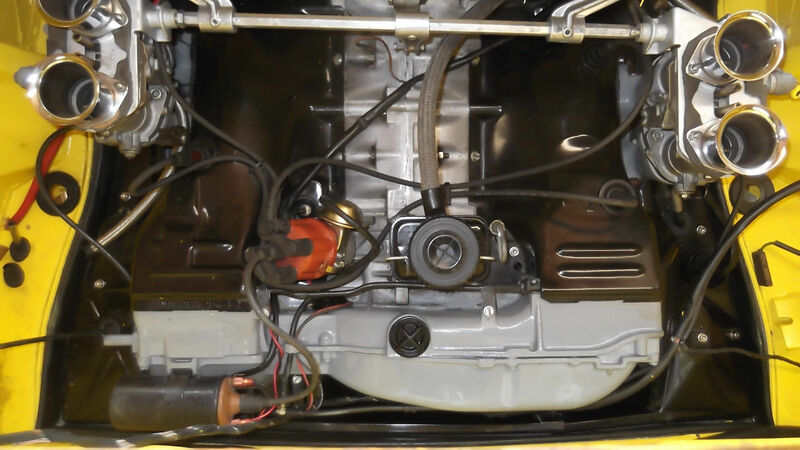 Fresh 1.8 engine is equipped with Dellorto 36mm carburetors. Compact AGM battery relocated in engine bay (see pics) original battery tray deleted. Seat belt ignition inter lock system has been deleted from the wiring harness. Stainless fuel hard lines in the tunnel. I met the owner a couple of years ago during car week in Monterey, his MGB GT was simply excellent. I wanted to buy it but was too slow. I just finished a 1970 914 built up to 2.4 with big Dellortos, lots of torque, but a long way from the condition of his 914. 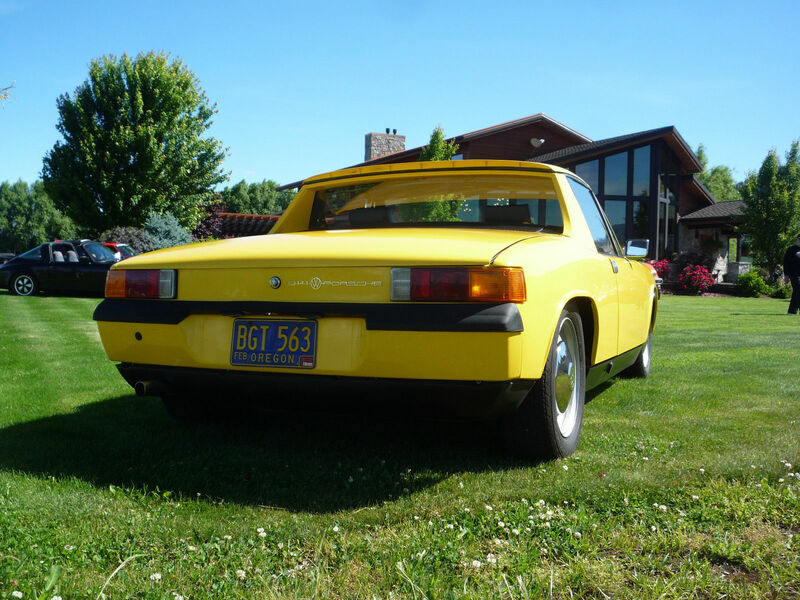 This 914 is very special and unique, I hope he gets his price.